According to the World Health Organization, non-communicable diseases (NCDs) are projected become to become the leading cause of death in sub-Saharan Africa by 2030. People living with HIV are especially vulnerable to NCDs such as hypertension, diabetes and invasive cervical cancer – especially those on HIV treatment. These conditions can lead to serious complications including stroke, heart disease, kidney failure and blindness. 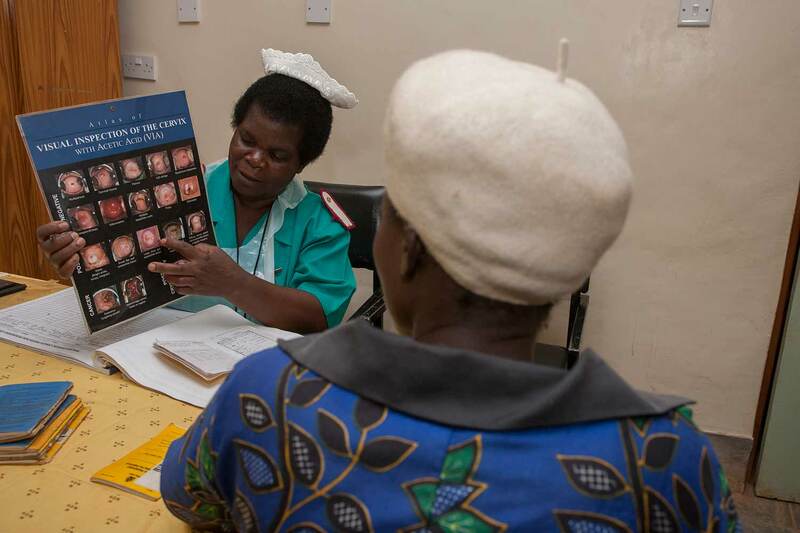 Dignitas is working to integrate care for NCDs into health systems in Malawi. engaging policymakers within Malawi’s Ministry of Health with our proven approach for collaboratively scaling up integrated models. Our hope to is build much-needed capacity within Malawi’s health system to prepare the country to manage this growing health issue and to prevent NCDs from reaching epidemic levels. Donate to help us with our work in non-communicable diseases.